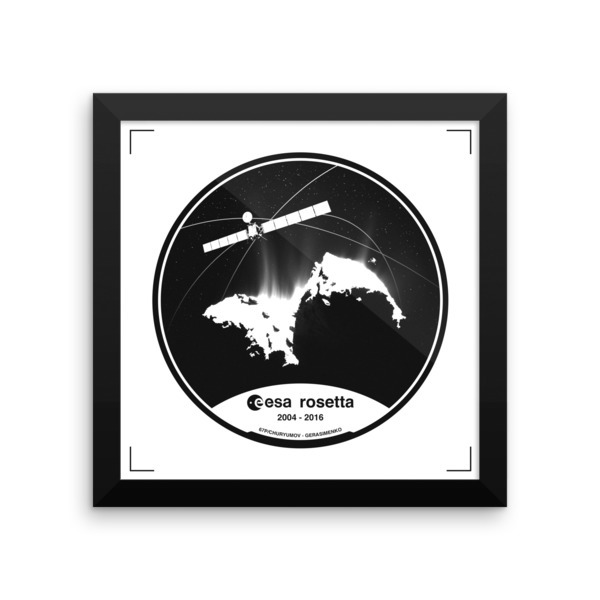 Featuring the ESA Rosetta spacecraft and Philae lander. 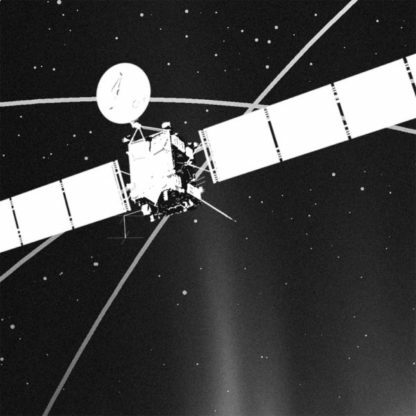 The Rosetta spacecraft followed a 10-year mission to catch a comet and land a probe on it. 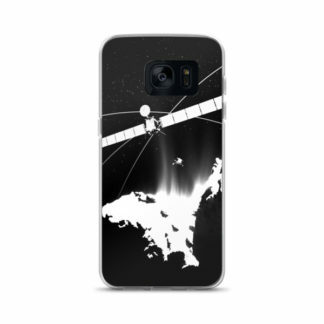 Launched in 2004, the spacecraft successfully arrived at its target, Comet 67P/Churyumov-Gerasimenko, on Aug. 6, 2014. 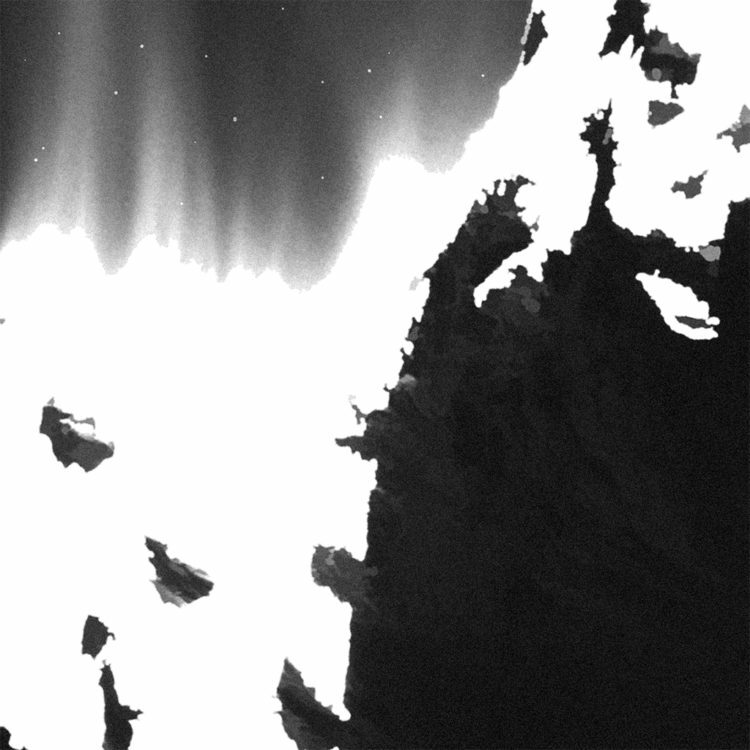 In November of that year, Rosetta’s lander Philae made a historic landing on the comet — a major space feat. 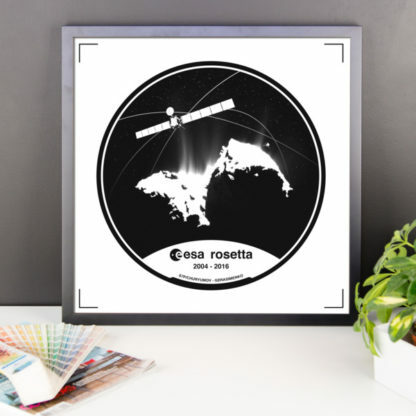 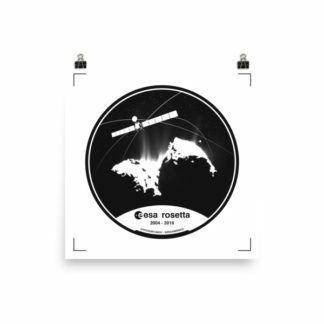 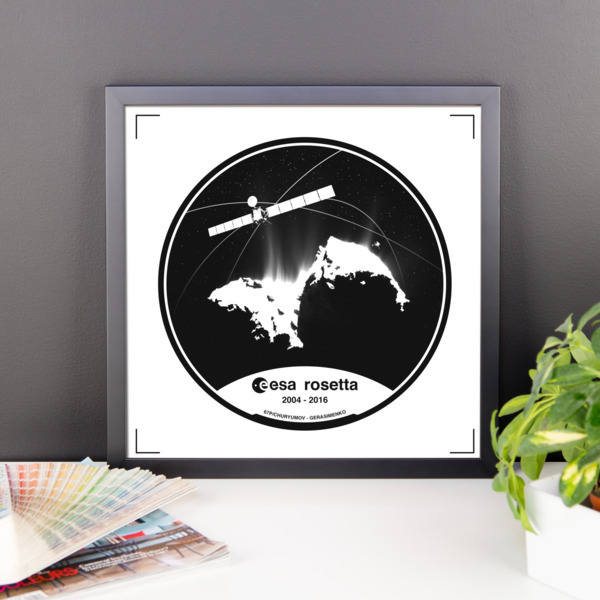 On 30 September 2016, the Rosetta spacecraft ended its mission by hard-landing on the comet in its Ma’at region. 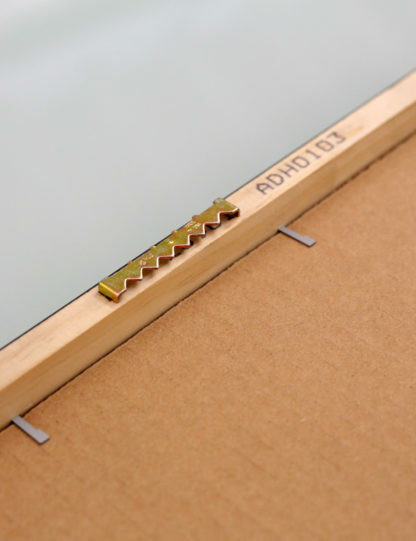 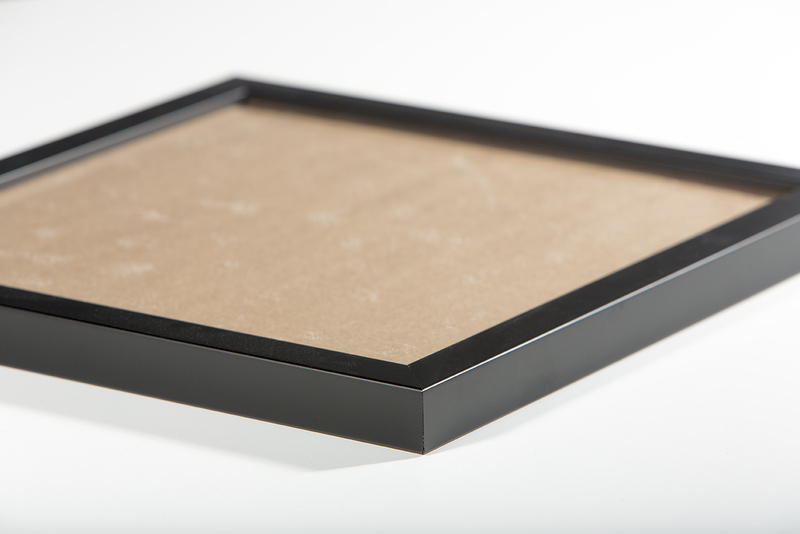 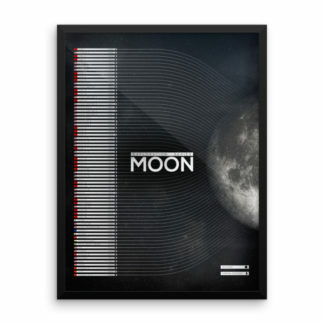 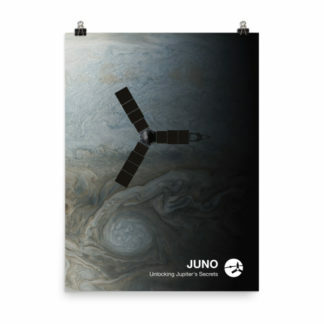 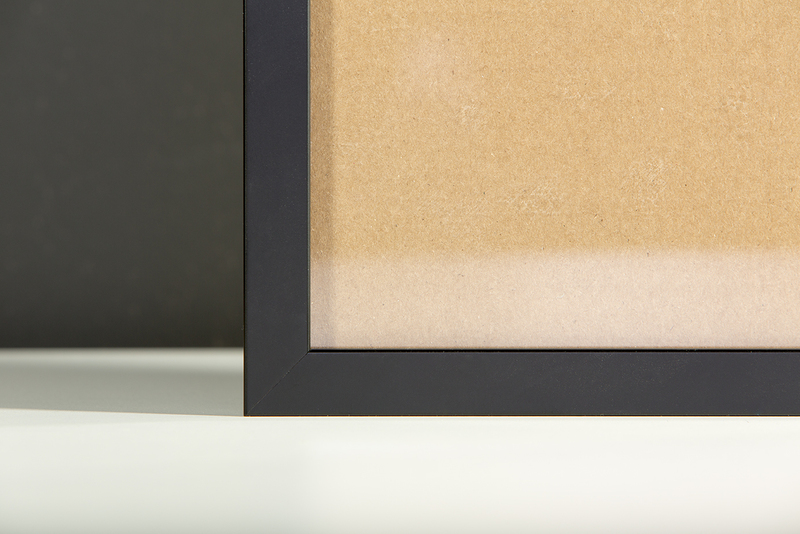 Framed poster printed on high quality paper, with a partly glossy, partly matte finish.